Very sophisticated Charming Charlotte Baroque bronze necklace by From Paris With Love! 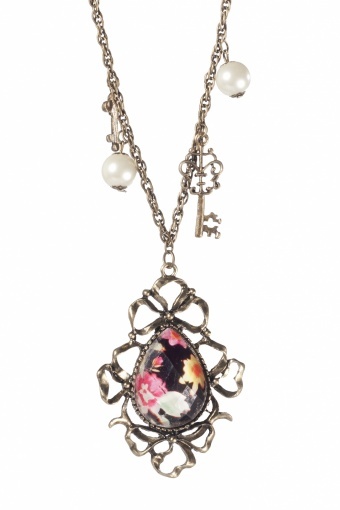 Long necklace with gorgeously coloured faceted medaillon, framed in a richly finished stylized ribbon. 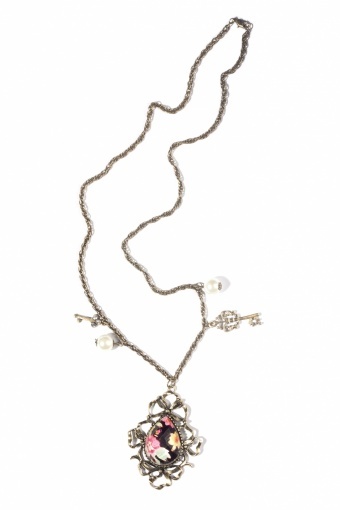 The necklace is decorated with two pearl beads and two little keys with strass details. Bronze nickelfree metal with lobster closure. What a beauty!